BuddyPress is a free plugin for WordPress which can turn your site into a full social network, complete with user profiles, friends, messaging, groups, forums and much more – you can extend it even further via the use of plugins designed just for BuddyPress. While BuddyPress is a brilliant way to add the functionality to your site, you still need a great looking WordPress theme which is designed for use with the plugin. 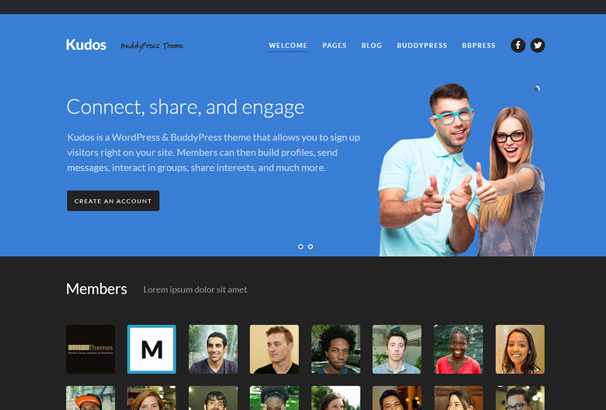 In this collection you will find the very best BuddyPress WordPress themes which we have hand-picked for you, these all have nice modern designs and styling touches which will let you create an attractive social networking site which will attract new members. This leaves you free to focus on the marketing side of things and trying to grow your community – Good luck with your new social network! 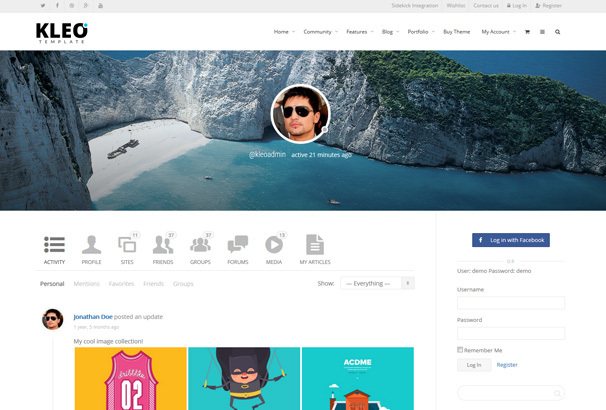 Boss is a fully responsive and visually appealing WordPress BuddyPress theme that will help you create an amazing social network with the slightest efforts. This theme offers you with endless possibilities to create a modern and advanced network. With a number of beautful layouts and customization options, this theme can a great choice for you. 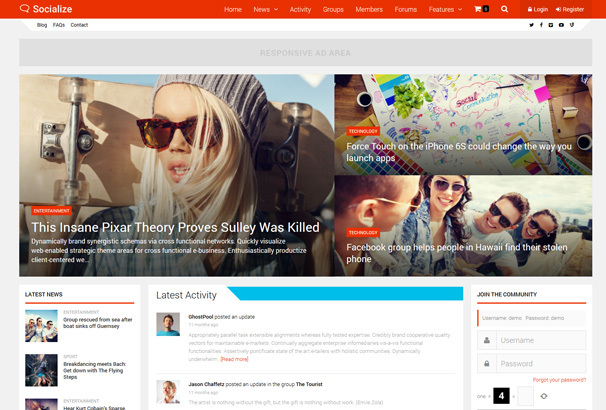 OneSocial is a minimalistic WordPress Theme that is another stunning option for creating a community. You are gonna love the design with which it has been created and the ease with which you can handle the theme. 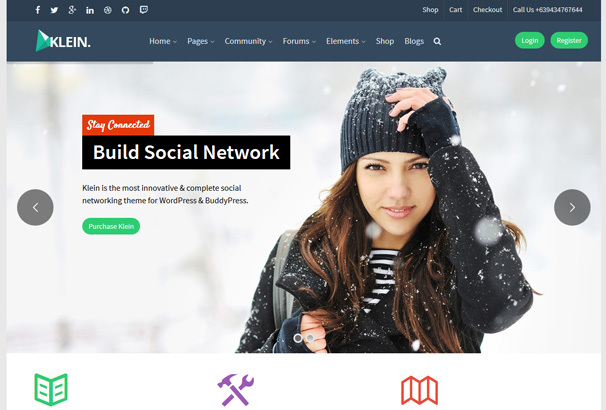 Kleo is a thoroughly responsive and feature rich WordPress Theme that has been integrated with BuddyPress as a perfect package for creating social networks and communities. Kleos come with amazing demo content to help you get started without much efforts. 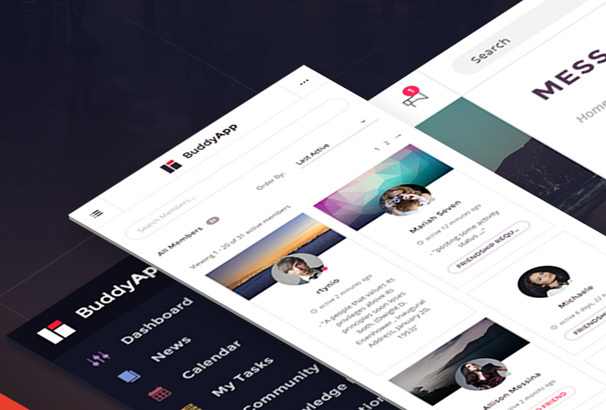 BuddyApp is a very popular theme by SeventhQueen that comes with tons of amazing features and fantastic plugin compatibility. The theme works wonderfully across all modern browsers and is compatible with the latest versions of WordPress. Monarch is a yet another brilliant option if you are looking for a theme for your upcoming community. 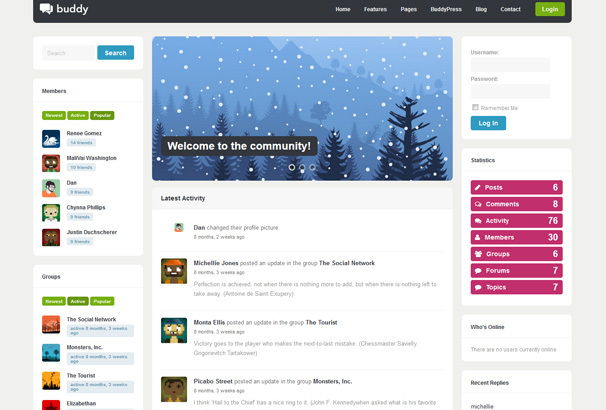 This theme offers you with all the options to create a modern and updated community site. 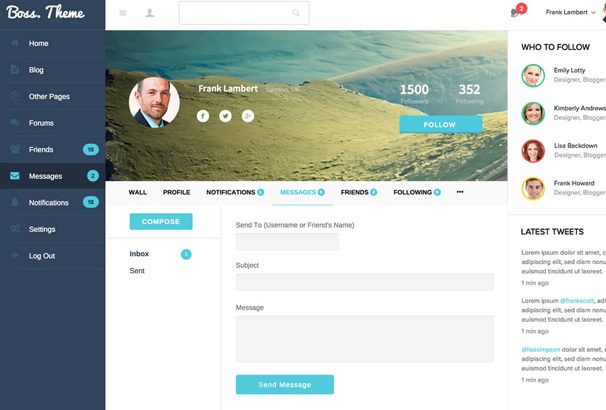 From member profiles options, activity streams, user groups, messaging, and more this theme has been in great demand. Just as the name suggests, Socialize is a multi-purpose BuddyPress theme that offers you tons of amazing features to create a great socializing network. 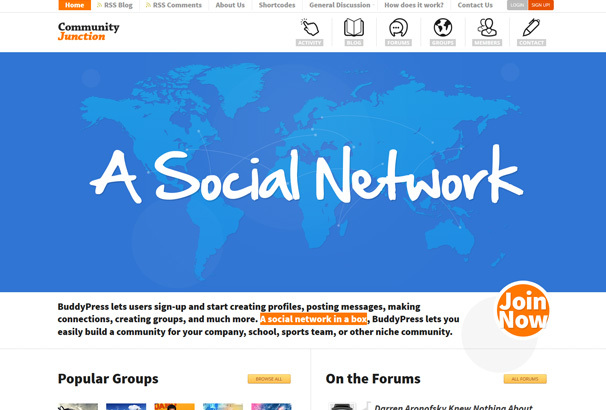 Be it a social network or a community, Socialize is simply a stunning theme that is fully responsive. It comes with an amazing Ajax filter, robust visual composer, event calendar and much more. Packed with an extensive list of advanced features, Thrive help you build a community and stay connected with your associates. This super responsive theme comes with amazing features like messaging, forums, events, project and task management, file sharing, e-commerce e-learning etc. 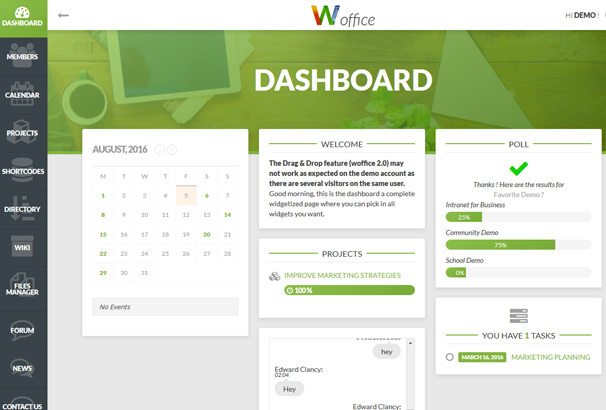 Woffice is a responsive, feature-rich and powerful Multipurpose WordPress theme that is another great option for you. Use all its amazing features and stay ahead of all others. It is jam-packed with tons of brilliant features. Check out the theme below. Kudos is a MeetMighty BuddyPress and bbPress WordPress theme, that comes with a very pofessional look. You can instantly convert your site into an online store using its WooCommerce plugin that comes integrated with it. The theme has been extensively documented and comes with brilliant support. 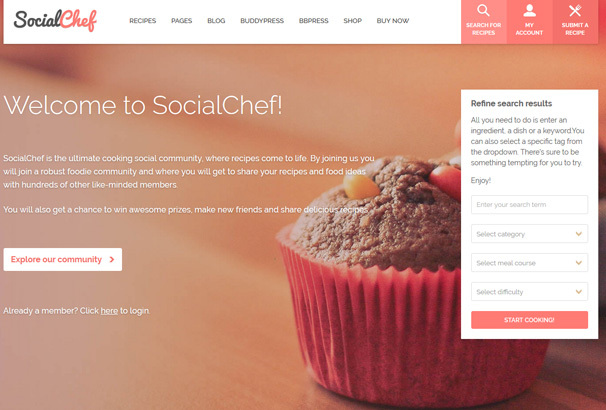 SocialChef is a highly flexible, super responsive, clean and beautiful WordPress theme that comes with a front-end submissions option. This theme is a stunning option to create a recipe site, or a cookery site. You can let your visitors submit their recipes from the front end. Thr visitors can also have member profile created. Community Junction comes fully integrated with BuddyPress & bbPress and allows you to create beautiful communities with amazing features. 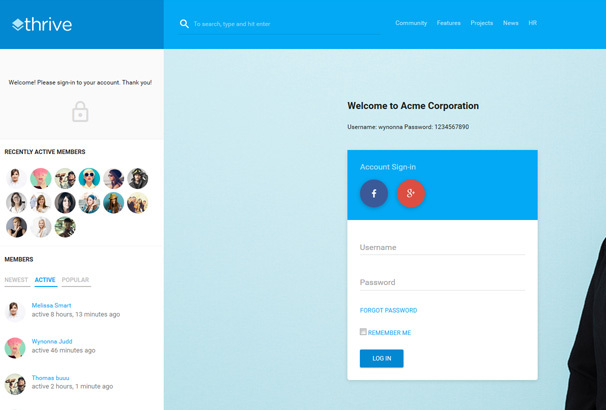 With this theme you can let your users register on your site and start creating their individual profiles. They can even post messages, making connections, and do everything that yu are capable of doing in a modern day community. Create a community with the Klein WordPress theme and stay connected with your friends.Klein is a highly innovative theme that comes with an easy to use admin panel, unique BuddyPress design, great plugin compatibility, SEO optimized codes and a lot more. You must have already got the idea. SweetDate is a marvelous WordPress theme to create a nice dating community. 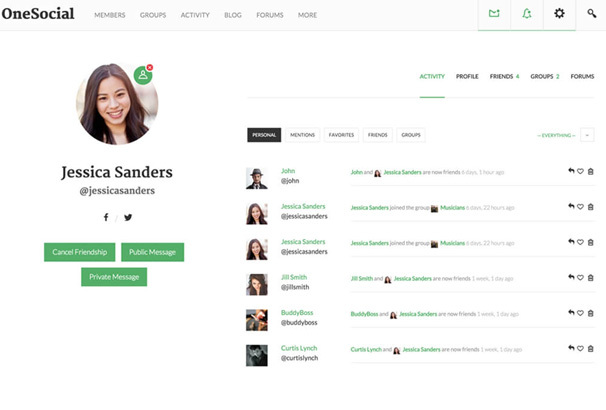 Your users can have their own profiles and connect with their friends. The online status option shows them to be active whenever they comes online. 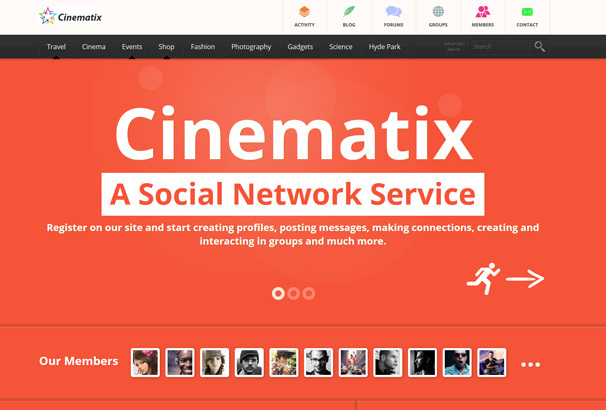 Cinematix theme is a fully flexible and easy to use WordPress theme that has been built with BuddyPress & bbPress. 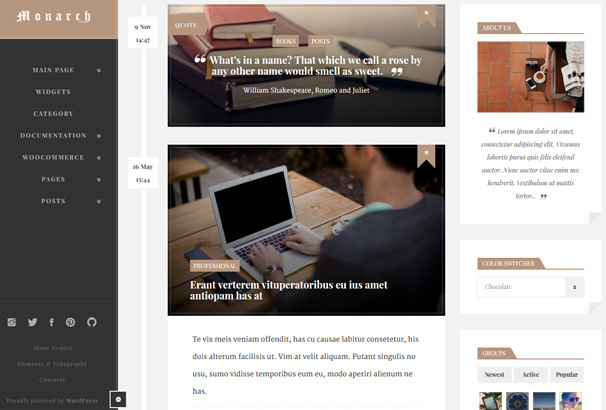 The theme has fantastic modular designs, various color schemes, more than 40 beautifully styled pages and much more. The users can register on your site and start creating profiles, posting messages, making connections and much more. Buddy with its cool features has gained a lot of popularity in the WordPress market. It comes with a super clean, modern and fully responsive design and robust features. 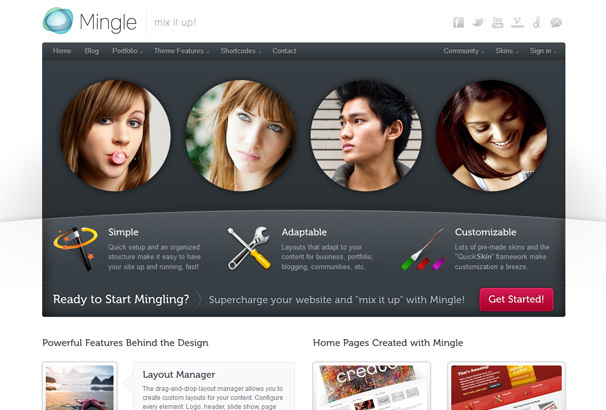 Mingle is another extremely popular BuddyPress ready WordPress theme that is perfect for creating a dating community. Mingle comes with a robust drag and drop layout manager, great contact form builder, sidebar generator and lot more.